As a self-professed fan of all things “Hamlet,” my interest was immediately piqued when the BBC announced that they would be producing a modern day update of the Shakespearean classic with “Doctor Who” star David Tennant in the title role. Everyone knows the story of “Hamlet,” but if you don’t, this isn’t a bad place to start as it’s a pretty faithful adaptation with some strong performances from its cast. Tennant played the Danish prince in the most recent staging of the play by the Royal Shakespeare Company, and though it isn’t the best Hamlet to date, he brings a whimsical madness to the role that injects some much-needed energy into the story. 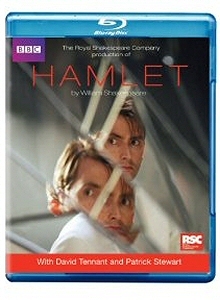 Unlike previous incarnations, Tennant’s Hamlet is crazy from the start – a victim of paranoia who believes he’s being spied on by his murderous uncle via the CCTV cameras installed throughout the castle. And indeed, there’s a bit of truth behind his madness, as the newly anointed King Claudius (Patrick Stewart, also reprising his role from the RSC production, and who recently spoke with our own Will Harris about the film) keeps a watchful eye on his nephew. But while Claudius initially comes off looking more like a worried patriarch than an evil stepdad, he eventually reveals himself to be the villain he truly is in subtle moments of guile and wickedness that capitalize on the veteran actor’s commanding screen presence. The rest of the cast pales in comparison (particularly Peter De Jersey, who is horribly miscast as Horatio), although Mariah Gale does get to chew some scenery once Ophelia loses her marbles (and her clothes). Despite setting the story in present day, the film feels very much like a period piece. 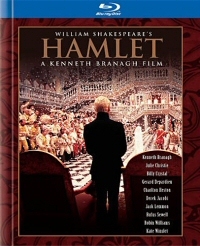 Director Gregory Dorn is careful to update the material without changing the meaning, and though it’s been filmed on a movie set, there’s an air of theatricality to the production that proves why “Hamlet” is better told on stage than in film. 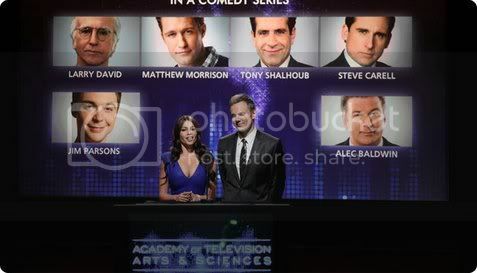 All in all, it’s one of the finer adaptations in recent memory. It still doesn’t come close to besting the Kenneth Branagh-directed version, but then again, there’s a good chance nothing ever will. Tonight’s quickie movie news notes have been called off in commemoration of the fact that this is Akira Kurosawa‘s 100th birthday. What follows, then, is a fairly random assortment of trailers and scenes from key films, some personal favorites, and a couple of lesser known films by the Emperor. If you’re not familiar with the great Japanese director, one of the movies’ strongest storytellers and masters of imagery who was also the first Asian director to become widely known in the west, you might start with that Wikipedia entry I linked to above. Or, simply take a look at what follows. Pay just a little attention and I think you may be intrigued. We’ll start with the worldwide art-house hit that made first made Mr. Kurosawa’s name outside of Japan way back in 1950. Several more videos after the jump.